The airport terminals are housed in light airy modern buildings. The signage is good and the flights are put up very early with the corresponding check in desk(s) shown. Although there appears to be general chaos everything works out quite well. 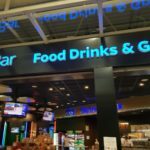 The areas are kept clean and the food and drink is very moderately priced. Road and rail connections with Rome are very good. Everything is poorly signposted at FCO and when you're late or in a rush to catch a flight you are doomed to get lost. This nightmare starts from the Railway station and ends at the gates. Terminals are dirty and dusty and construction seems to be everywhere and never ending. Toilets are dirty. Nets have to prevent pigeons to fly into the restaurants but apparently they have plenty of space to move around in the terminals as their droppings can be found everywhere! Rome is a beautiful city but sadly this does not count for its prime gateway to the country. Europe's most shameful airport. Rude unhelpful staff. No wireless or even possibility to plug in a computer. I could not get a boarding pass for my connecting flight at the transfer desk. My luggage was not sent. After five days they sent one of the pieces to Ukraine - it was labelled to Moldova. After eight days they sent the second piece ( I am still waiting to see if it will be routed back to Sweden eventually). When calling about it I was told by disinterested staff that they had no possibility to help me. I agree with the writer who said this is a tale of two airports. Last year I used Terminal 3 which is run down dirty and disorganised. This year I used Terminal one - a huge improvement. Much cleaner and well run. Check in and security clearance a breeze. Finally compared with some airports refreshments quite reasonably priced. A total nightmare is what I would call my experience here. It took two and half hours to clear check in airport security and passport control. Without exception staff were either rude disinterested or unhelpful. The check in staff did not know what security check areas were open the wrong gate was listed for our departure Obviously the management company at the airport do not care about customer satisfaction and while I had a number of purchases I was about to make given the rudeness of the shop assistant to one of those travelling with me I did not proceed with the purchases. 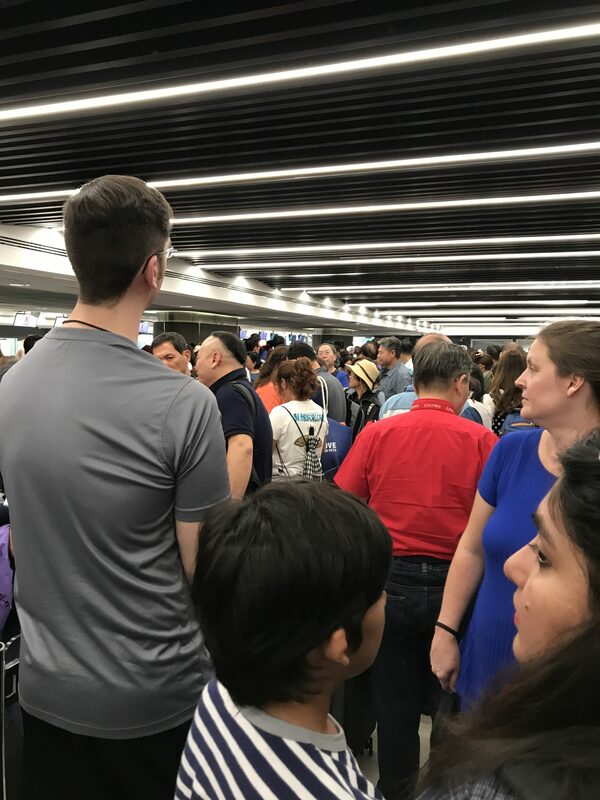 Many others on my flight did not even get a chance to look in the shopping area due to the inefficiency of the services prior to arriving in this area. I have no doubt that many hundreds of euros of business were lost on that flight alone. And I am sure that is replicated many times over every day. Have had a very bad first impression of Fiumicino upon arrival. After a 11-hour transatlantic flight the plane parked far from the terminal to where we passengers were transported in crowded buses. Toilets in arrival lounge were filthy. And then the immigration lines (if there were in fact any) were a total chaos as other international flights kept on arriving one after another. Just a few counters no organization after all - I've never seen such a mess. 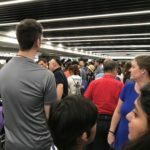 However our experience when leaving Italy on a connecting flight in FCO was totally different. It took no longer than 40 minutes since our NAP-FCO flight landed until we reached our gate in Terminal 3. This time frame encompassed one bus transportation to arrival lounge immigration and a monorail transfer between terminals. 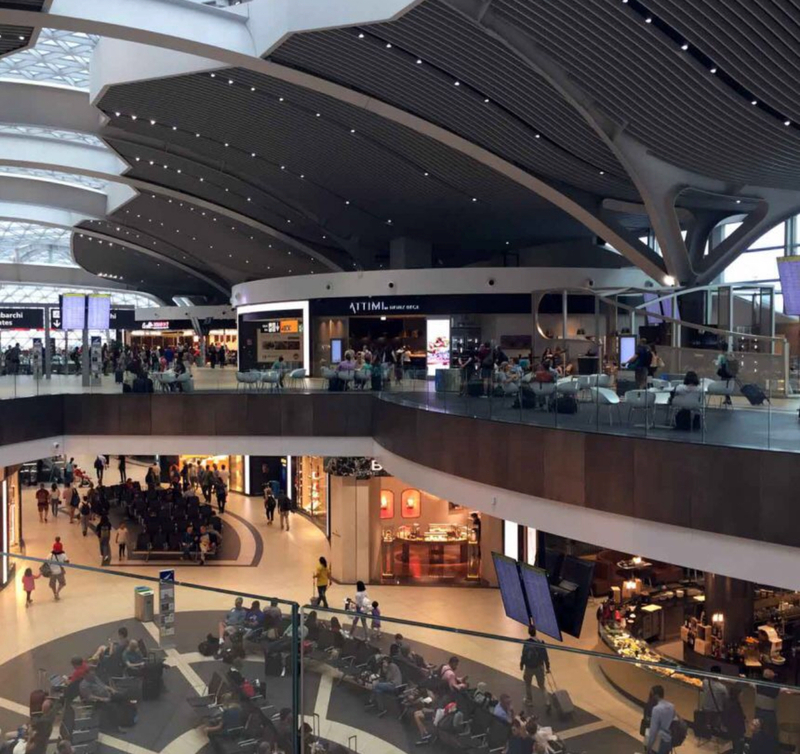 Departure lounge with a broad range of options for catering and shopping including some high-end brands. The ladies toilets at Rome airport have got to be the most disgusting I have encountered. On arrival on an early flight the toilets were so disgusting I could not use them. The smell was revolting. The majority of the cubicles were out of order. Of those that weren't the floors were littered with soiled toilet paper and toilet bowls filthy. Although there seemed to be cleaning equipment outside the toilets there was no evidence of anyone cleaning them. This place is a tale of two airports. The international terminal or T-5 is very acceptable in terms of comfort and cleanliness. It took a while to get the bags. This is not uncommon and much of it has to do with the rather poisonous labor relations in Italy. Getting through customs was a snap. Now the domestic side terminals could definitely use a steam cleaning and there wasn't much in the way of food there. This is an excellent airport choice nowadays for those flights departing directly to the US and/or Israel. 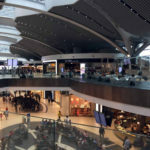 FCO airport authority has moved all departing US flights to a new Terminal T5. If you traveled to this airport in the past you'll remember the horrible lines and wait times at the US carriers' check-in area in old Terminal C. With T5 you breeze right through check-in with your US/Israeli airline and breeze through security and immigration with no problems. 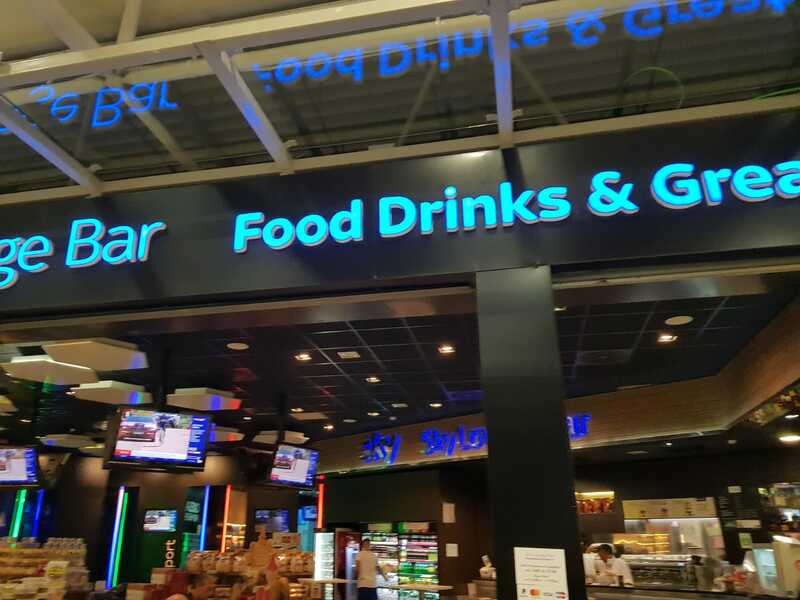 A bus then takes you to the departure lounge at the Satellite of Terminal C. Make sure to tell your cab driver that you are flying out of T5 or on a US airline so they won't drop you at old Terminal C! It's difficult to get from the old terminals to T5. Once you get into the Satellite there is a ton of Duty Free!